Over the past several months, I have been watching many different aspects of the atmosphere. I fear that we will have a much colder start to winter for the 2016-2017 season. This is going to take many businesses by surprise, because of the many forecasts calling for a warmer than normal winter. The problem is many weather sources and outlets are only looking at the weak La Nina or neutral ENSO state. IF, you are only going to look at one factor then your forecasts will be flawed anyway. A winter outlook is more than one factor and involves many other factors that will be explained in the paragraphs below. Not all of the factors are explained or all of the maps shown in the free version of this outlook. There are a few years that stick out to me when looking at the current pattern. 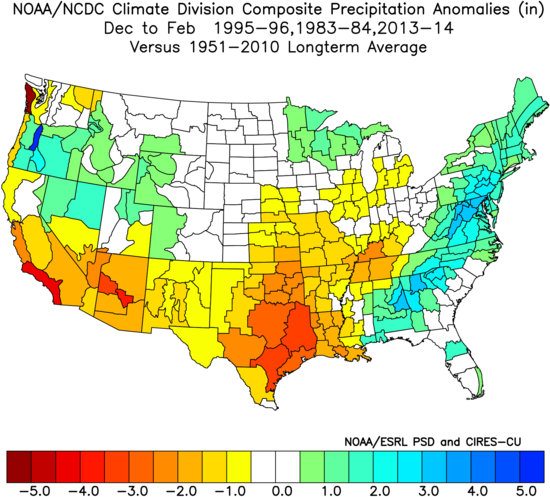 These analog years are indicative of a much colder and wetter pattern than the last few winters. See below for the analog winter package that we favor for this upcoming winter. Look at the graphs below and you will see our custom analog years that show what the temperatures and precipitation forecast is predicted to be. Most of the weather data point to a period of cold weather with some pretty cold shots possible. This winter could feature a comeback of the polar vortex and extremely cold conditions at times, especially during the first part of winter. The CFS long range weather model is showing a deep eastern trough from mid-November through early December. This will bring in much colder conditions compared to normal for the Eastern US. This weather model is pretty good within a 30-day span but not so much for outside a month’s time. IF, this weather model is to be believed then we will probably see our first snow of the season in the Mid-Atlantic and Northeastern states. 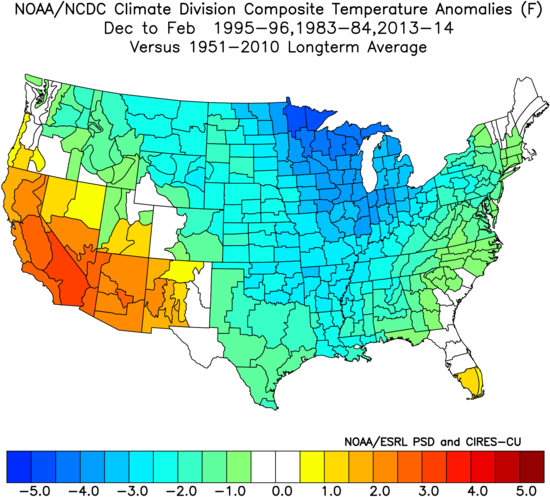 The PDO or Pacific Decadal Oscillation will play another important aspect into the way this winter turns out. We are currently in a +PDO, which means the ocean temps in the North Pacific are warmer than normal. I expect the early and mid-part of the winter season to feature a +PNA on the west coast of the US. This is significant, because it builds the ridge in the western US and allows some of the coldest air from the arctic to flow southward. The North Atlantic Oscillation is a weather phenomenon in the North Atlantic Ocean of fluctuations in the difference of atmospheric pressure at sea level between the Icelandic low and the Azores high. Through fluctuations in the strength of the Icelandic low and the Azores high, it controls the strength and direction of westerly winds and storm tracks across the North Atlantic. When the AO index is positive, surface pressure is low in the polar region. This helps the middle latitude jet stream to blow strongly and consistently from west to east, thus keeping cold Arctic air locked in the polar region. When the AO index is negative, there tends to be high pressure in the polar region, weaker zonal winds, and greater movement of frigid polar air into middle latitudes. We need to look at several factors when trying to determine how much snowfall is predicted to occur. While it appears we have a better chance this coming winter season for the Mid-South to achieve normal to above normal snowfall, all these factors explained above must come to pass. The one thing that seems certain to me is the better than normal chance for prolonged periods of below normal temperatures. While we do not need cross-polar flow or a breakdown in the polar vortex to attain these cold temps, it appears this will be another factor in helping keep the cold air flowing. With many favorable indices and the absence of the El Nino, it stands to reason that this winter for many areas will end up normal to slightly below normal for temperatures. Precipitation will be normal to slightly above normal for many areas. 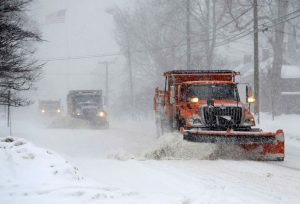 For a more comprehensive 11 page winter weather report with expected snowfall and temperature maps, click the link below. To become a monthly or annual member, click the link at the bottom of this page. The Weather Alert Service with Southeast Weather Alerts can give you an early warning for any potential weather systems moving into your area. Not only will this include advanced notice the night before, but also medium-range alerts as well. *Weather alerts are only sent to your phone between the hours of 9am and 9pm for realtime storm alerts. We will never bother you or send text past 9pm unless it is an emergency situation, and a tornado is imminent.